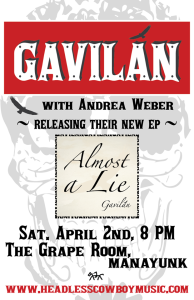 It’s a busy week for the band Gavilan. The band, which mixes country rock a la Drive By Truckers and jam band explorations, released a new EP, Almost a Lie, this week. 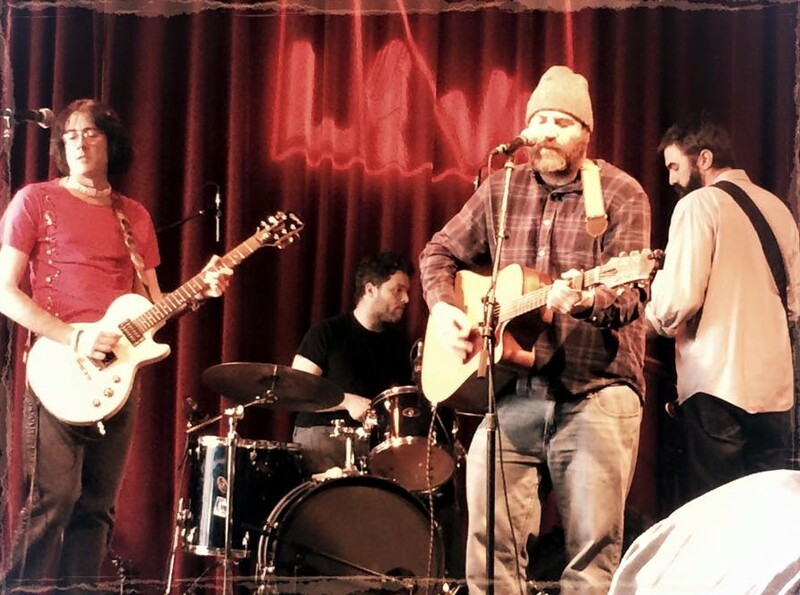 Tonight they’re playing a co-release party at the Grape Room in Manayunk with Borrowed Equipment and, on Thursday they’re at the Roadhouse Inn in Levittown for a Gashouse Radio interview and performance. 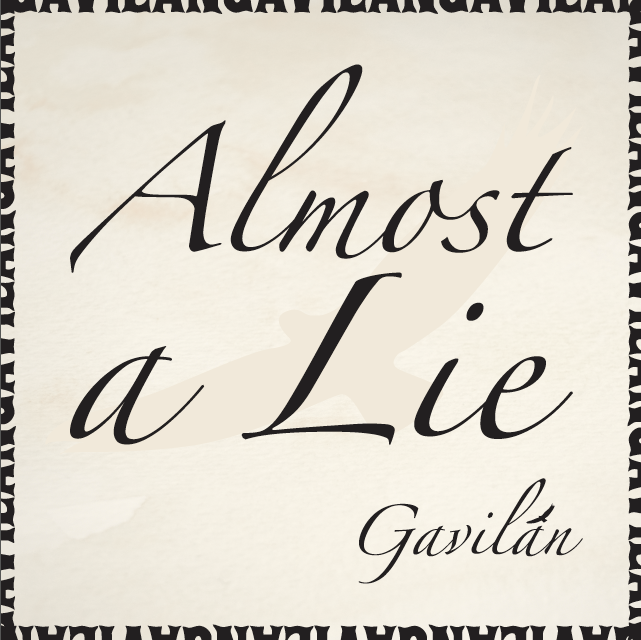 The band considers the song “Sangamon River Lament” the lynchpin of Almost a Lie. It was recorded last summer during a two-day session with Matt Muir at Retro City Studios. It’s a collection of songs that, said bassist Jeff Klemns, is “A little less about other people and a little personal.” The song in particular, according to guitarist Joe Altman, became the one that, during recording, seemed to unify the collection. Songwriting and vocal duties in the band are split between Klemens and Altman. “Sangamon River Lament” is Klemens’ songs, one of two waltz-time country tracks on Almost a Lie. The band is rounded out with Matt Chicchi on lead guitar and drummer Jack Firneno. Joining the band at these sessions was cellist Andrea Weber, and singer Brianna Lee sang backup vocals on just this track. The new EP is a collection of songs that, said Klemens, is “A little less about other people and a little personal.” The song in particular, according to Altman, became the one that, during recording, seemed to unify the collection. 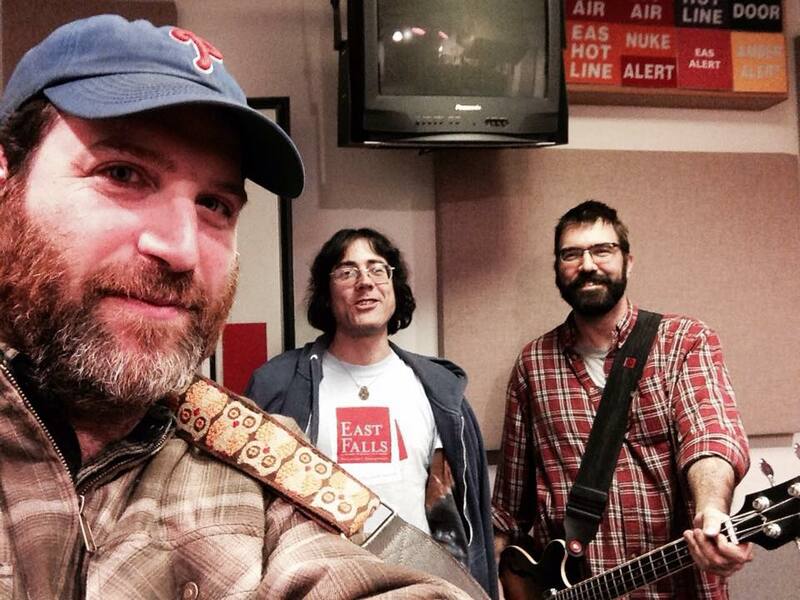 Listen to “Sangamon River Lament” here, and read what the band had to say about it. I was driving my uncle Marty to the airport in Peoria, Illinois. My mother’s funeral had been the day before and her brothers and sisters were heading back to their own lives but he was the first to go. We talked for a while but it’s a long drive, and it was quiet, and I just glanced up in the rearview mirror. And I had one of those moments where I realized how big the sky is out there. At first this track would blend with “Speak to Me Softly” for me. I had recently joined and was still getting inside all the songs and they’re both slower, waltz-time country songs. Recording, I think Matt Muir could hear more of it in the control room than I could. Him being a drummer too, he became much more involved in this one than others. 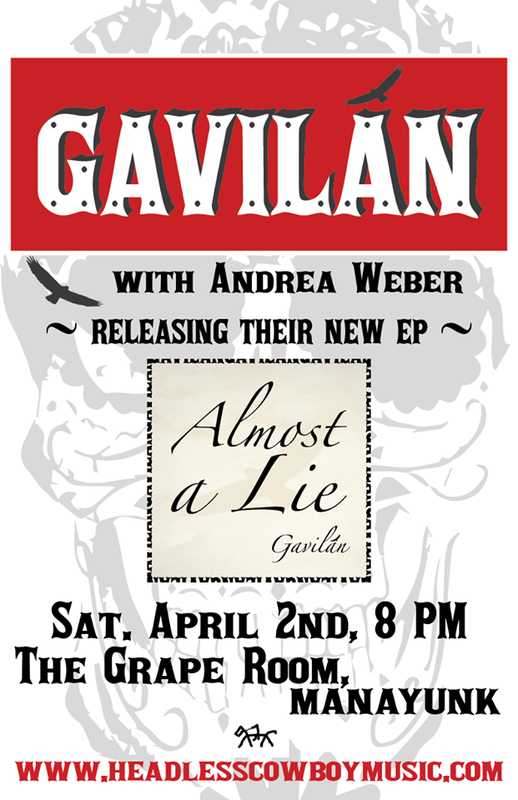 Gavilan performs at The Grape Room, 105 Grape St. in Manayunk, tonight. 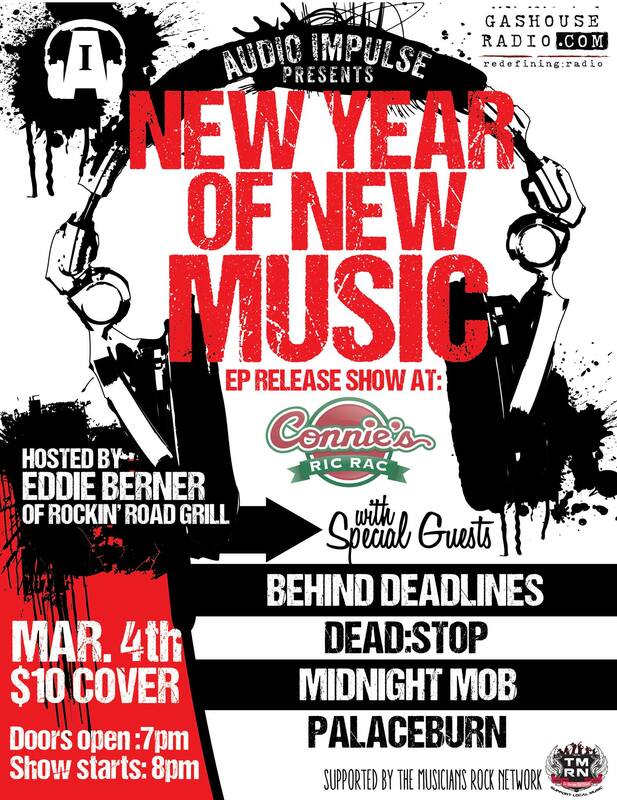 The show starts at 8:30 with Brianna Lee and includes Borrowed Equipment and Figment. The band will perform an acoustic set and live interview for Gashouse Radio at the Roadhouse Inn, 2200 New Falls Road in Levittown, on Thursday. April 7.